Visit us at a garden show and be amazed by the beauty and variety, peonies have to offer. Browse plants and more, and enjoy a relaxing day. At every show we present a selection of our collection, as well as something new to enchant you. It is possible to reserve peonies in advance and collect your order from one of the many garden shows which we attend. Inform us by email of your wishes. We will confirm by e-mail when the plants are ready for pick-up. Happy gardening and we look forward to your visit! La Feuillerie Plantes rares et de collection Celles Saturday and Sunday 27 and 28 April. 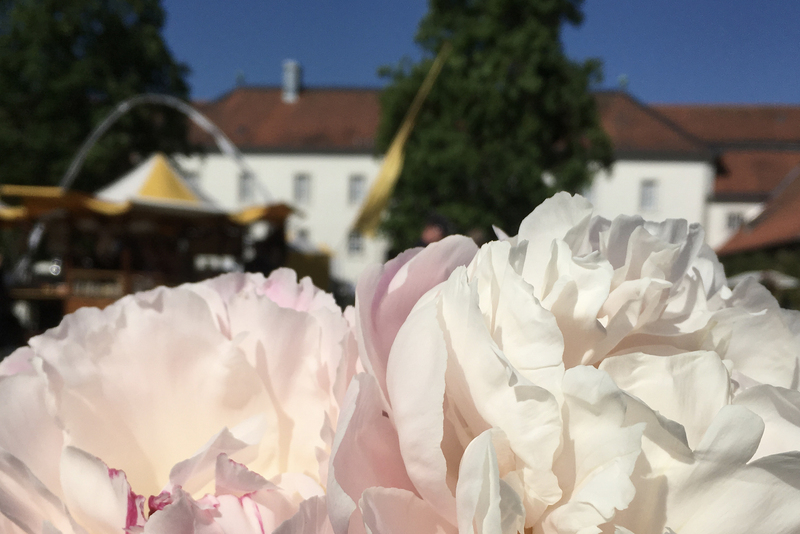 In a very romantic 19th century garden, among the best nurseries of Belgium and abroad, we display the loveliest peonies of our collection. View the website.